Just in time for this years VMworld VMware has updated key products around their cloud portfolio for service provider. 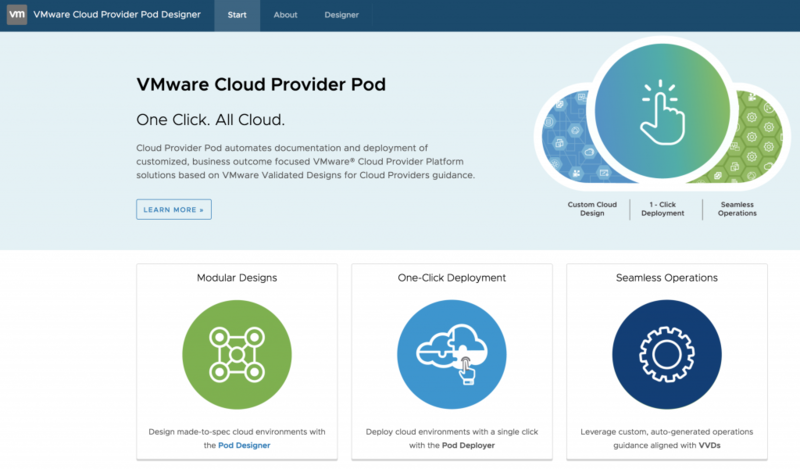 Within the VMware Cloud Provider Program (CSPP) a Service Provider can use VMware’s technologies and offer public IT services for their customer, while being charged only for the workload that is used (and therefore sold) to the customer. Using the SDDC stack (vSphere, NSX, vSAN, vRealize) and integrate it within vCloud Director (and its add-ons like vCloud Director Extender) service provider can use a fully software-defined stack to add value for their customer by adding Services on top of this platform. Here we are again. 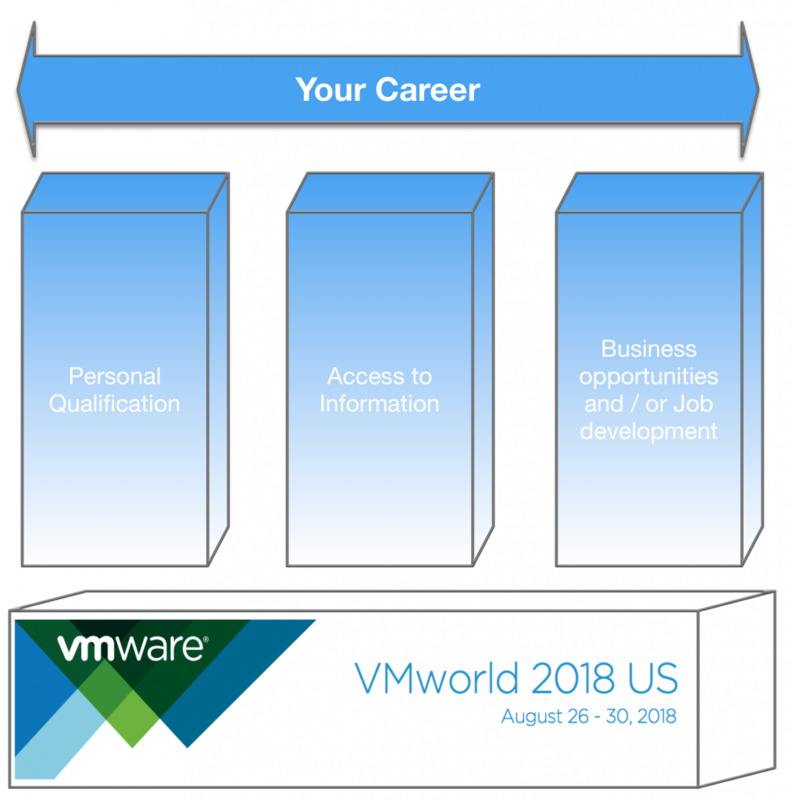 VMworld 2018 in Las Vegas, THE tech conference of the year for all people, customer, partner dealing with VMware technology. When I began to use/learn about VMware technologies on a professional level in the year 2010 all of the use cases were around the customers on-prem datacenter. Since than a lot has changed and VMware made a transition to offer enterprise-solution within a very broad spectrum for all kind of use cases. VMware is a key player on the digital transformation for many enterprises. Please be aware of that this is a biased personal perspective on the relevant sessions and people. There are many other great persons out there ;-). Where to find the people? VM Village Social Media Booth, VMTN Tech Talks, Their Sessions, Eye Candy Bar in the center of the Mandalay Bay Casino late at night. 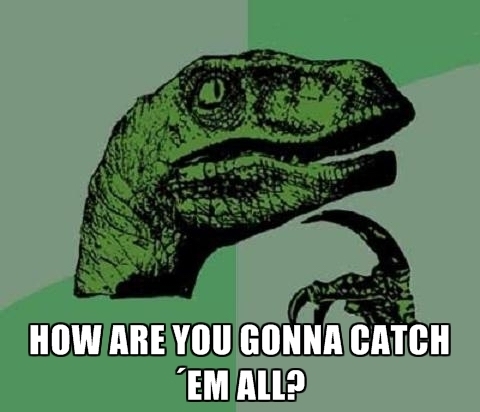 There are much more community events on Twitter. Just search for #vSoccer, #vBeards, #vFIT (That’s sports acutally), #vBreakfest and many many many more. So far 2018 has been a interesting year from a product release perspective. Let me tell you about a few products and which session/people might be interesting to follow. As every year I expect all the sessions to be available only shortly after VMworld has taken place. The majority has decided. We will meet on the 26th October at around 6PM. Please enter your / any name in the doodle so that I can make a proper reservation. 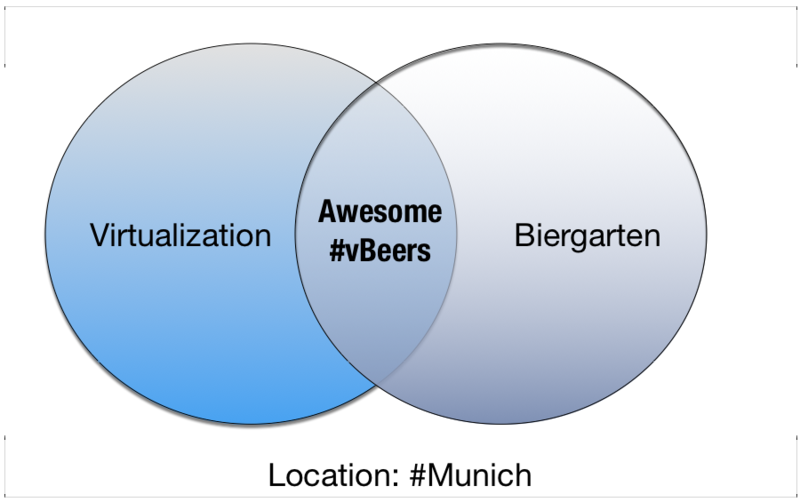 After the success of the first #vBeers I have organized in Munich, I want to meet up with friends & community geeks who are interested in virtualization & beer/drinks. 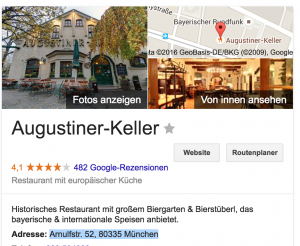 Since I moderate from time to time the (famous) #beer2b in the center of Munich, I realized that a lot of useful input/information/thinking can come up as soon as you talk to other people in the field in a relaxed atmosphere. 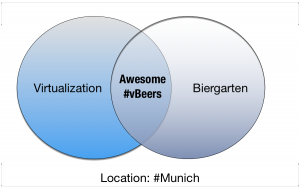 This will be the second edition of #vBeers in Munich. We had a group of 10-12 people at our first gathering. Let’s see if we can keep up with the number. 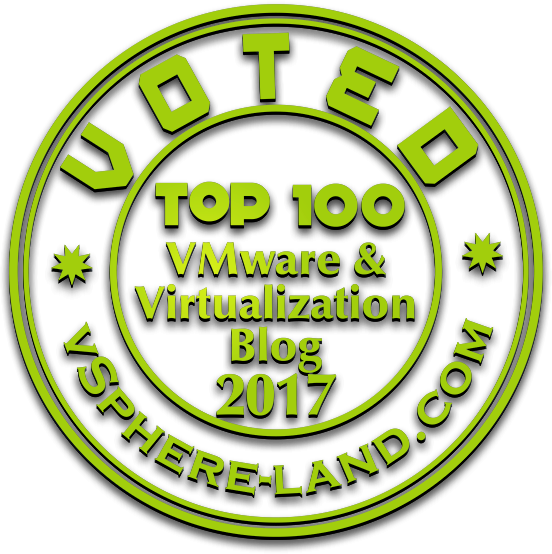 Since VMworld US and VMworld Europe has been passed and we worked out most of the news, I am pretty sure we will find great topics for further discussions. WHEN? 26th October (Vote here). Please use your name/ email so that I can do a proper reservation. IMPORTANT: If you want to come it would be great if you sign yourself up in the doodle mentioned so I can make sure we have enough space/seats for our meet-up. 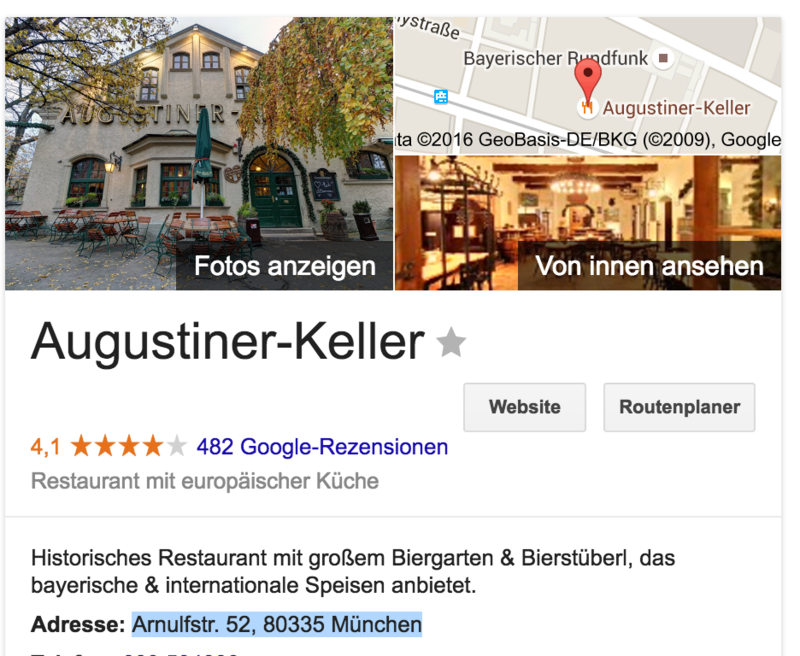 PLEASE PUT YOURSELF INTO THE DOODLE SO THAT I CAN MAKE A PROPER RESERVATION.